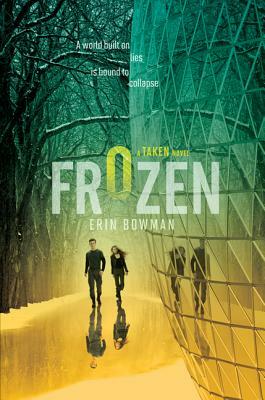 The second book in Erin Bowman's gripping Taken trilogy, Frozen, will thrill fans of dystopian sci-fi series like Michael Grant's Gone and James Dashner's The Maze Runner. Gray Weathersby has escaped Claysoot and uncovered the truth behind the Laicos Project and the Order's twisted plans. Determined to fight back, his small group of rebels is on the hunt for more answers and more allies—a search that will take them on a harrowing journey across a frozen wasteland, and even deeper into a world built on the Order's lies. In Frozen, discover more of the nonstop action and riveting plot twists that made Marie Lu, New York Times bestselling author of the Legend trilogy, call Taken "an action-packed thrill ride from beginning to end." Erin Bowman used to tell stories visually as a web designer. Now a full-time writer, she relies solely on words. She lives in New Hampshire with her family, and when not writing she can often be found hiking, commenting on good typography, and obsessing over all things Harry Potter. Erin is the author of Contagion, the Taken trilogy, Vengeance Road, and Retribution Rails. You can visit her online at www.embowman.com.